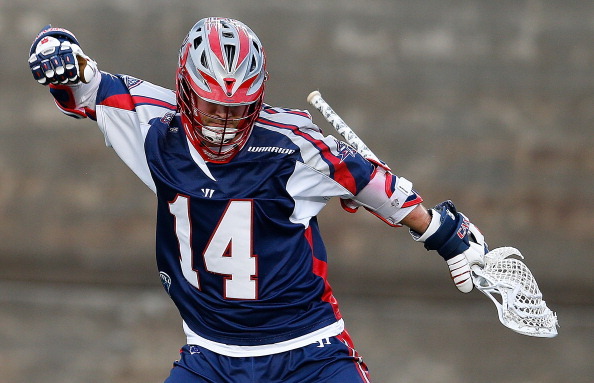 The Boston Cannons of Major League Lacrosse (MLL), the premier professional outdoor lacrosse league, have announced that former stalwart and captain Ryan Boyle will officially have his number 14 retired by the team. Boyle will be recognized at the May 17th game as the first Boston Cannon, and first MLL player to ever have their jersey retired. In honor of Boyle’s achievements, the Cannons are offering a special seating section with $14 tickets for the May 17th game which coincides with Military night. Boyle will be recognized on the field in a post-game ceremony to officially retire #14 from the Cannons. All fans are encouraged to stay and watch, as a lucky random ticket will be called to win an authentic autographed jersey from Boyle. “The Boston Cannons are proud and honored to recognize the great career of Ryan Boyle by announcing no Cannon will ever wear number 14 again,” Cannons Vice President and GM Kevin Barney stated. After an impressive 11 seasons, and 4 MLL titles, Ryan Boyle officially announced his retirement at the conclusion of the 2014 season. Ryan was a four time All-American at Princeton before being drafted to the MLL as the second overall pick in 2004. In his 11 years as a professional lacrosse player, Ryan split his time between the Philadelphia Barrage for 5 seasons before making Boston home for the remaining 6. Ryan won 4 MLL titles over his tenure, 3 championships with Philadelphia (’04, ’06, ’07) and one with the Cannons on 2011. Ryan is the only player in MLL history to have 25+ points in 11 consecutive seasons. In 2012, he garnered a career high 39 assists. Aside from his impressive team titles, Boyle was a stand out by his own right, garnering up many individual accolades. In 2004, he was named the MLL Rookie of the year in his inaugural season after scoring 17 goals and adding 28 assists in just 8 regular season games. Additionally, he was a 5-time MLL All-Star, and 3-time U.S. Men’s National Team player (’02, ’06, ’10 World Games) winning 2 World Game Gold medals in 2002 and 2010. Boyle had much success at the collegiate level as well, winning the NCAA National Championship with Princeton in 2001. Ryan was a 4-time All-American as a Tiger, and was a 2-time Ivy League Player of the Year. At the end of his 11 seasons, Boyle has certainly accomplished his personal goals and much more. He leaves as one of the most decorated players to come into the league, but beyond that is able to exit with countless life-long relationships and friendships. Despite his extensive list of awards, honors and Championship wins, what he remembers the most is the time well spent with his teammates. With a clear dedication to the sport, Boyle will undoubtedly continue to be a large influence on the game. As he continues to develop youth lacrosse with his Trilogy program.